​Pearl Harbor; Tarawa in the Gilbert Islands; Aleutian Campaign, Kiska; Kwajalein Atoll in the Marshall Islands; Eniwetok Atoll; Kavieng in New Ireland; Nansei Shoto & Luzon; West Zulu Sea; Leyte Islands. The Philippine Liberation Ribbon with 2 bronze stars; The Good Conduct Medal with 1 bronze star; The American Theater; The Asiatic-Pacific Medal with 4 bronze stars; The Victory Medal World War II. Harry entered the service on May 19, 1936 at the U. S. Naval Recruiting Station in Portland Oregon at the age of 20 years. From there, he was sent to the Naval Training Station in San Diego, California. After graduating from the Naval Training Center, Harry was stationed aboard the U.S.S. Tennessee. He was promoted to Seaman First Class on May 16, 1938. On December 7, 1941, Harry was aboard the USS Tennessee at Pearl Harbor, Territory of Hawaii. He took part in action against the Japanese invaders and received mention in his service record, "that his conduct was most commendable". 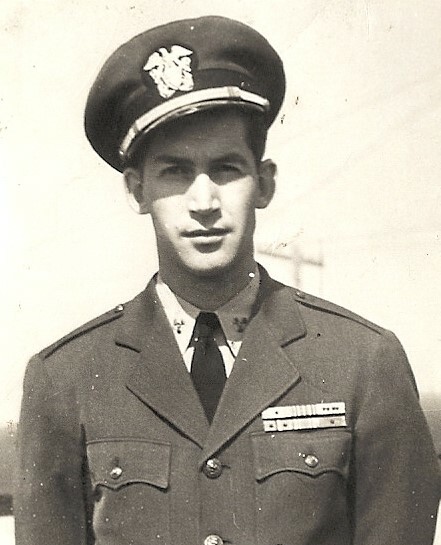 By this time, Harry had been promoted to Aviation Machinist Mate Second Class, then Aviation Machinist Mate First Class, and in December of 1941 to Aviation Machinist Chief. As he traveled in the Pacific during the next year he received the Air Crew Insignia and was appointed Warrant Machinist (AA). He participated in the bombardment and occupation of Tarawa, in the Gilbert Islands. He crossed the International Date Line and was admitted to the Order Of The Golden Dragon. He also crossed the equator and was inducted into the Royal Order Of Shellbacks. He served on board the U.S.S. Tennessee during the Aleutian Campaign. During this time his ship was involved in the bombardment of Kiska; the bombardment and occupation of Kwajlein Atoll, in the Marshall Islands. He also participated in the bombardment and occupation of Eniwetok Atoll and the bombardment of Kaveing, in New Ireland. He was detached to the nearest Naval District on board the USAT Henry Bergh. The ship was sunk and he was shipwrecked on the Farrelone Islands in May of 1944. He reported aboard the U.S.S. Hornet CV12 and while aboard he participated in the carrier strike against Nansei Shoto and Luzon. Also, Visayas in strategic support of landing operations by the Southwest Pacific Amphibious Forces on Leyte Island. He participated in a carrier strike against the Japanese fleet in the West Sulu Sea. He participated in a carrier strike against a Japanese convoy off the west coast of Leyte Island. In the 10 years my father served in the U. S. Navy he displayed courage, bravery and unselfishness in his giving to the country he loved. His flag had a great meaning to him and he loved the meaning of the freedoms she gave. He was a member of the Pearl Harbor Survivors. Henry Arthur Bates, his wife Joann Geneva Bates and their 18 month old twin daughters moved to Lakewood, California in 1950. His daughters went through the Long Beach Unified School District. His wife died in 1975 and he died in 1994 after living in the community for 43 years.